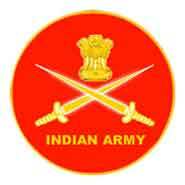 Applications are invited from married/unmarried MALE and unmarried FEMALE candidates for Grant of Short Service Commission in the Indian Army subject to fulfillment of specified conditions. 47th Short Service Commission (Tech) - Men and 18th Short Service Commission (Tech) Women Course (Oct 2016) (Including Widows of Defence Personnel For Technical Entry). Equivalent Stream (AICTE Appd) : Electronics & Telecommunication Engg, Telecommunication Engg, Electronics & Communication Engg,Electronics & Electrical Communication Engg. Engineering Streams : Bio Medical Engg. Training : Duration of training is 49 weeks: (a) Selected candidates will be detailed for training at Officers Training Academy, Chennai according to their position in the final order of merit up to the number of vacancies available in each subject. (b) Candidates neither be allowed to marry during the period of training nor he be allowed to live with parents/Guardians. A candidate who marries during training shall be discharged and will be liable to refund all expenditure incurred on him by the government. A candidate, who marries subsequent to the date of his application, though successful, will not be selected for training. (c) COST OF TRAINING: The entire cost of training is at Government expense. In case the GC is withdrawn from training academy due to reasons other than Medical ground or the reasons not beyond his control, he will be liable to refund cost of training for the period of his stay at Officers Training Academy. (d) Army Group Insurance Fund.